This is the time of year where everyone dusts off their Christmas classics and watches them yet again. It’s a Wonderful Life, Elf, etc. It’s simple really. But while there are a ton of classics that are explicitly “Christmas Movies” there are more than a few that are Christmas-set films that go under appreciated. 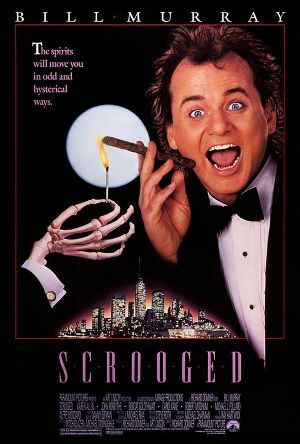 Scrooge is one such movie. I could go on and on about why you should watch this, but I don’t really need to. It’s Bill Murray in an adaptation of Charles Dicken’s A Christmas Carol. Seriously, how much more convincing do you need? If you’re somehow still holding out, here’s the trailer. Run to this film. It’s amazing and hilarious. Merry Christmas to you all.